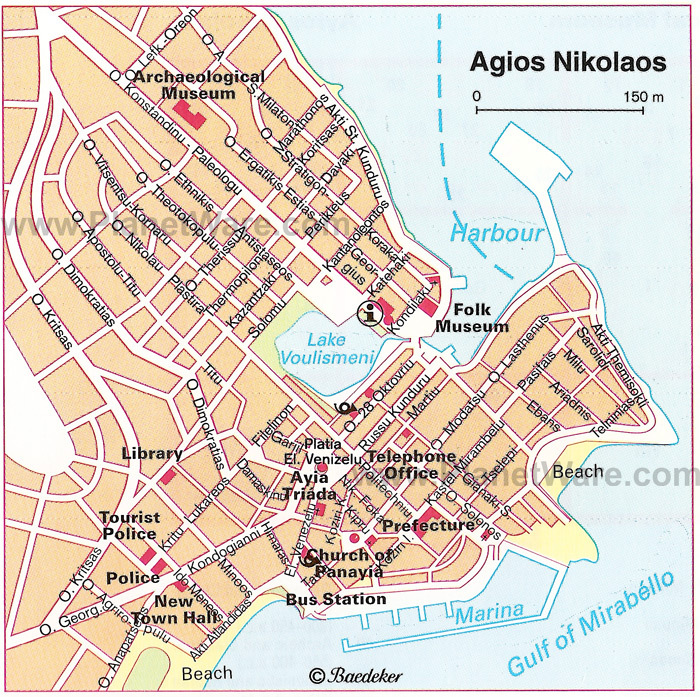 Rethymno (or Rethimnon) is the third largest city in Crete, located on the north coast, almost in the middle of the island. It is a small-sized city, which today houses around 20,000 inhabitants. During the summer this number doubles in size. Rethimnon is literally built in front of the sea, the Aegean Sea, the influence of which is felt deeply by its people. Behind the town rises majestically a scenic backdrop of hills and mountain peaks, the highest being Vrissina, at 858 metres. The climate is temperate and Mediterranean. Summers are hot and dry with temperatures fluctuating between 26-32¡ C. Spring and autumn are mild seasons, cooler temperatures range from 20- 24¡C. Winter is mild with little rain and the coldest days don't fall much below 14¡C. The history of Rethimnon is lost in the depths of time. It seems that the area was first inhabited during the prehistoric period (1350-1250 BC. ), the name of the town was then, Rithimna. The gold and silver coins found from the fourth and third century BC., point to a golden age of this ancient city during this period. Detailed history of the town, its cultural background and its people have been described in detail by many authors. These books are available in local bookstores, and have been translated into many European languages.